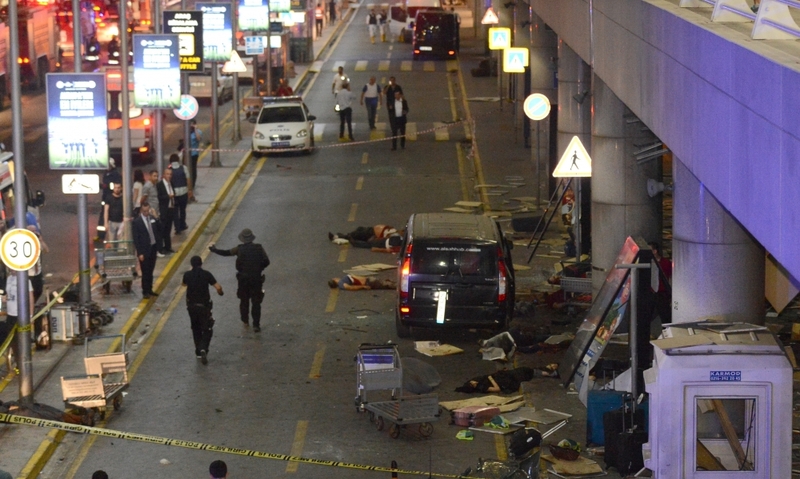 The well-coordinated terror attack against Istanbul Ataturk Airport, once again, has dragged the international community’s attention to the ISIS terror. The nature of ISIS attacks in Turkey can be analyzed in two major ways: the targets of ISIS and why Turkey fails to prevent such attacks. Examining the targets of ISIS attacks, one can see that the organization has two major targets. The first is the Kurdish Nationalists, a group affiliated with the Kurdistan Workers Party (PKK) and closely associated with the Democratic Union Party of Syria (PYD), the key ally of the US against ISIS in Syria. The second target of ISIS is tourists and tourism spots in Turkey. ISIS attacks secular Kurdish nationalists to deepen its fight against PYD inside Turkey with the hope to polarize Turkish community against Kurdish nationalists to benefit from such polarization. In fact, when ISIS killed more than 100 people in Ankara last year, Turkish soccer fan in Konya chanted for ISIS showed their sympathy to the attack. Law enforcement records clearly indicates that most of early members of ISIS are religious Kurds however, since the ISIS has launched attacks against Kurdish nationalists, number of Turkish militants in ISIS network has increased. ISIS targets tourist and tourism spots in Turkey to retaliate against Turkish government’s actions against ISIS. When Turkish military effectively shell ISIS targets inside Syria and cause ISIS to lose significantly, ISIS targets tourists in Turkey to “punish” the government’s decision. Given the fact that majority of Turkish society, particularly those who have sympathy toward the Islamist Justice and Development Part (AKP) government, would not approve any direct attack against government facilities, ISIS knowingly avoid targeting government facilities in order not to lose sympathy of those people, mainly political İslamist circles, who have sympathy toward the government, the ruling Islamist Party and the cause of ISIS. For instance, Turkish military has been tightening the border control against ISIS and right before the Istanbul Airport attack, ISIS has lost strategically important town of Menbij in Syria. Turkish military has helped Syrian Democratic Forces against ISIS. In reaction to Turkish policy, ISIS hit Istanbul airport to punish the government.